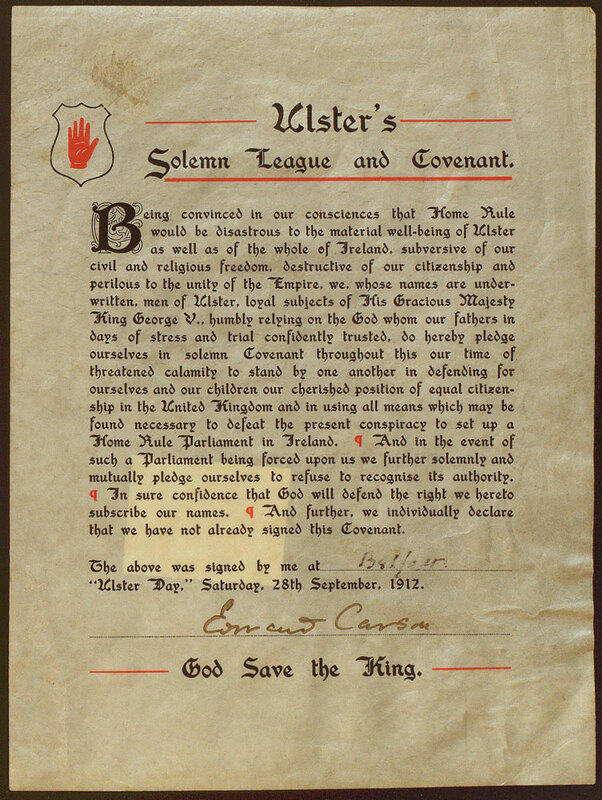 In September 1912, Sir Edward Carson, leader of the Ulster Unionists, led hundred of thousands of people in signing the Solemn League and Covenant. 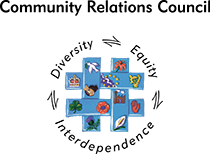 The covenant stated that those who signed agreed "... to defeat the present conspiracy to set up a Home Rule Parliament in Ireland. And in the event of such a Parliament being forced upon us we further solemnly and mutually pledge ourselves to refuse to recognise its authority". Carson and other Unionist leaders attended a religious service in the Ulster Hall before going to the Belfast City Hall to sign the covenant. Inside the City Hall, a circular table draped with the Union Flag was placed in the entrance hall, with the covenant set on it. Carson signed first, followed by Lord Londonderry and by representatives of the Protestant Churches, and then by Captain James Craig. After that thousands of people were led into the City Hall to sign the covenant. Men signed the covenant and women signed a declaration, in all 471,414 signatures were collected. 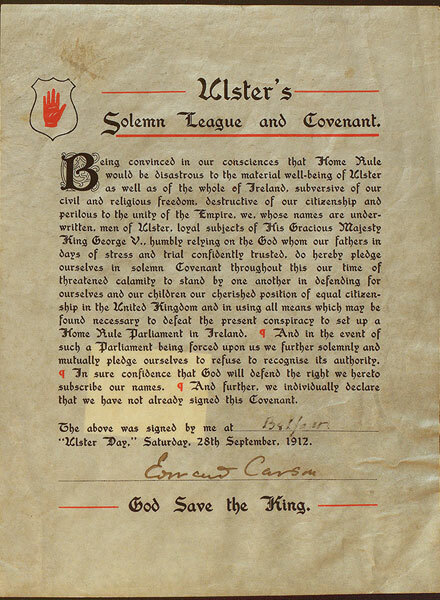 Sir Edward Carson's souvenir parchment of the Ulster Covenant.